Commissioner Colin Pettit met the 35 students who comprise the committee to discuss their project on how to keep children engaged in education. “Education is a key influence on a child’s life, it is a pathway into employment and further education,” Mr Pettit said. “This committee is made up of students from years 7 to 12 who are part of the Follow the Dream program at Swan View Senior High School. “The students will work with me throughout the year to look at what barriers children and young people face in education and how they can be better supported to continue their learning. The feedback from this committee will inform a broader consultation on education undertaken by the Commissioner. The findings of the consultation will be released later this year. Advisory Committees are one of the ways the Commissioner hears the views of WA children and young people each year, with the information they provide used to help guide the work of the office. In addition to their engagement in the education project, the two Advisory Committees for 2016 will also provide advice and comment on other projects and issues the Commissioner is working on. The second Advisory Committee for 2016 is from North Albany High School. 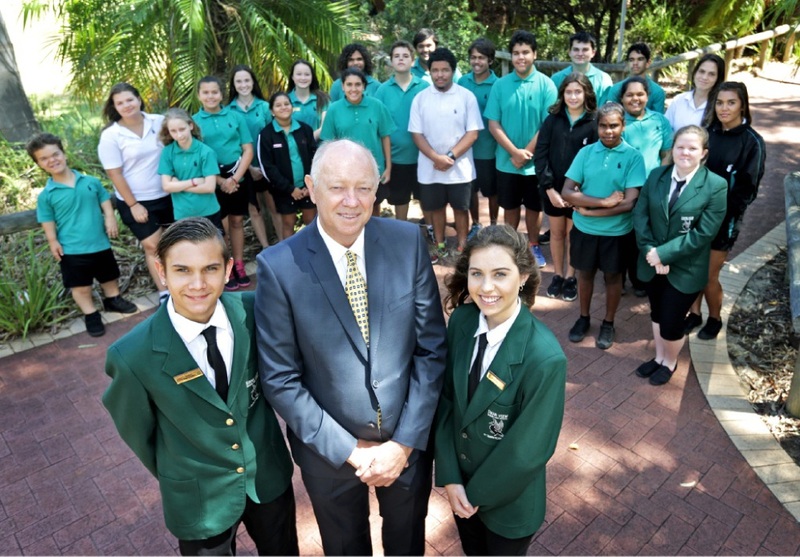 Mr Pettit was appointed WA Commissioner for Children and Young People in November. The Commissioner is the independent person who works closely with children and young people, their families, community and government.